Get ready for a thrilling 3h tour! You’ll receive an encyclopedia of information about the Portuguese history, culture and modernity. But don’t worry, it will be fun! We promise. This is our half-day special deal. 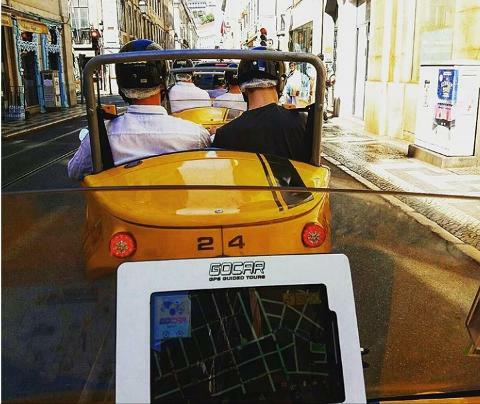 By renting a GoCar for 3h you’ll be able to get an “all-in-one” solution. You’ll discover a city of multiple contrasts while driving through the historical and modern neighborhoods, crossing different cultures, trends and lifestyles. The tradition may be found in its splendor in the oldest districts such as Alfama, Mouraria and Graça while the modern and internationally acclaimed architectural icons may be seen in Parque das Nações. However if your main motivation is about history and World Heritage monuments you can´t skip Belém. 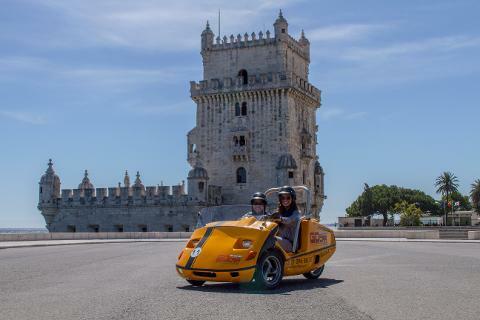 If you want to extend the tour in order to visit both areas, Belém and Parque das Nações, it will also be possible, you just need to contact us with that specific demand. 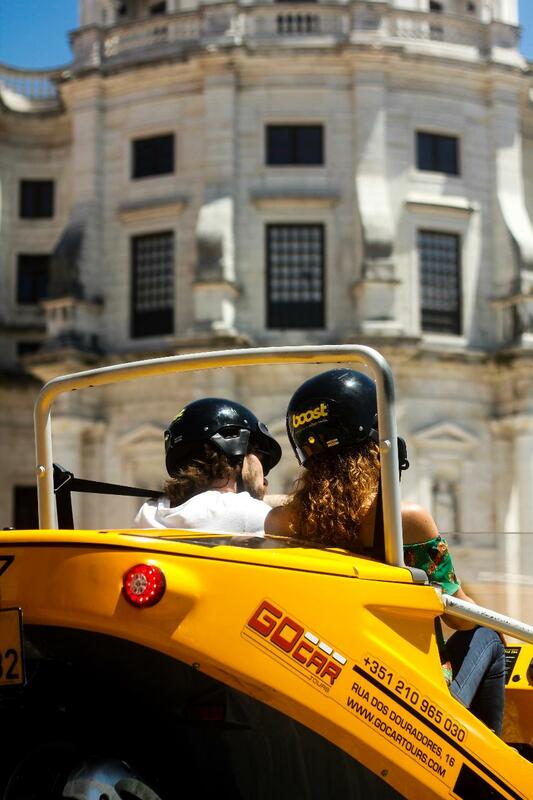 The half-day special deal to discover Lisbon for real! Alfama: Lisbon’s oldest neighborhood and the most charming one, it’s considered the historic soul of Lisbon and its steep and cobblestoned lanes stand just as they were in medieval times. Santa Apolónia: The busiest area where you may find Lisbon's main train station and the new Cruise Terminal, considered as an urban work of art. Parque das Nações: Lisbon’s modern district, which extends along the north-eastern side of the Tejo Estuary. A rejuvenated district that rose from a desolated industrial wasteland for occasion of the Expo '98. Belém: The monumental historic district of the Age of Discovery, here you’ll find magnificent World heritage monuments, wonderful parks, gardens and the Tagus River as landscape.